A Beautiful smile without the lines! While most people think that dentists focus solely on procedures involving the teeth and gums, such as crowns, fillings, and periodontal treatments, dental professionals are actually capable of helping patients improve their overall appearance in ways that extend beyond just dental care. If you are looking to eliminate the fine lines and wrinkles that appear over time on your face, we have a solution. The dental office of Adel Hanna, DDS, now offers Botox to compliment your beautiful smile with great looking skin! If you want to smooth unsightly wrinkles in the forehead, between and around the eyes, and at the corners of the mouth, Botox may be the treatment for you. Botox, carefully administered by Dr. Jim Brady, is injected into key muscle groups in the face, temporarily "freezing" the muscles to prevent the display of frown lines or wrinkles. The procedure is virtually painless, requires no anesthesia, and results last for around three months. Regular follow-up appointments are recommended to maintain your new youthful appearance. 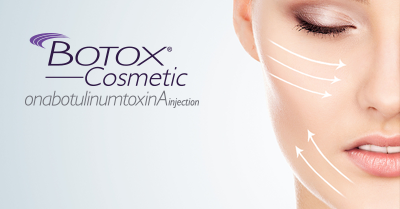 Botox can be used as a stand-alone treatment or as part of a total smile makeover. Contact the office of Adel Hanna, DDS, to schedule your first appointment. We look forward to helping you achieve both a confident, healthy smile and smoother, rejuvenated skin! Whatever your need, our team is prepared to meet it. Let our family take care of your family.